Hello! Here’s what’s been happening this week. We’ve got a handful of milkweed beetles chomping away right next to our deck. They’re not causing any major damage, and they are kinda cute (it’s the antennae, I think), so we’re just having fun observing them. Anneke has spent many hours watching them, has named them all, and claims she can tell them each apart. Who needs summer school? 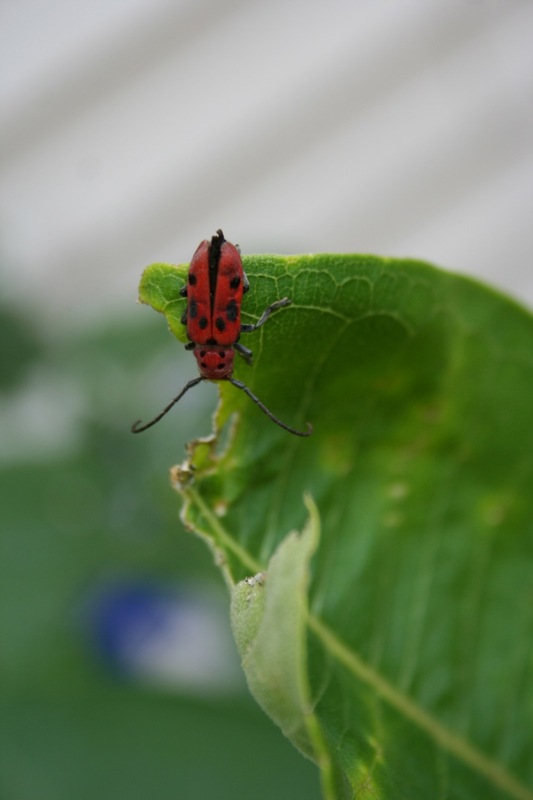 Just add milkweed to your yard and you’ll be amazed how many different insects you’ll learn about. 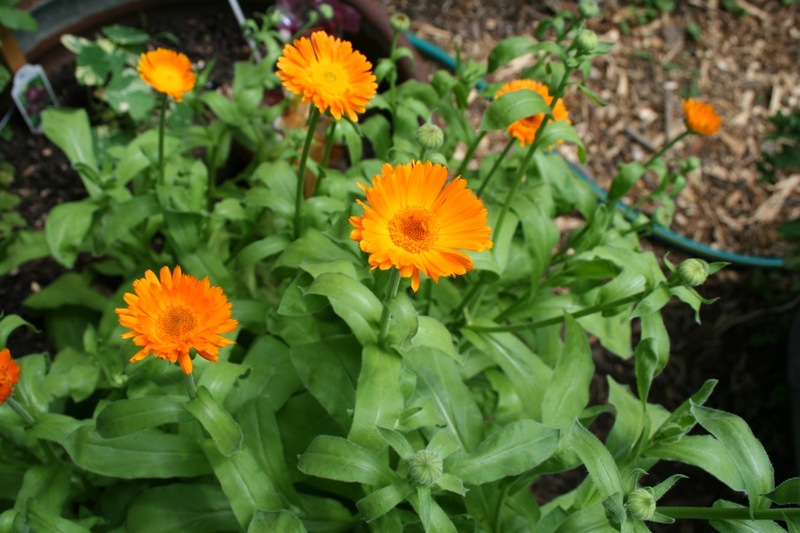 Anneke’s calendula is also in full, bright, glorious bloom right now. She is so proud, having raised these from seed. All three of our stock tank gardens are looking great. Rowan’s filled in nicely with the dragon wing begonia, Anneke’s got her calendula, and between them is something new for this year: a tunnel! We planted two cup and saucer vines in Anneke’s tank, and have been tucking them in almost daily to get them to grow down the other side. They started blooming this week too. My lettuce is staying surprisingly nice in the largest (back of this picture) tank, considering how hot it’s been. Having it in part-shade definitely helps. 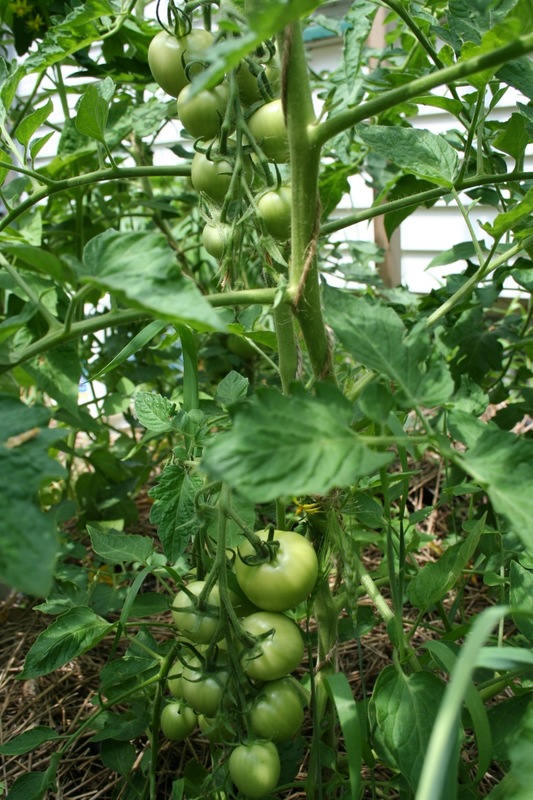 Over in the main garden, another banner tomato year is taking shape. In particular, this Jaune Flamee heirloom is loaded with fruit. Zucchini is almost ready to pick! I am excited to make my Grandma Rensenbrink’s zucchini cake again soon, among other things. We saw a squash vine borer adult flitting about yesterday, so I immediately ran to Mother Earth Gardens and picked up some nematodes. I put them around our zucchini and kale (since I’ve also seen a lot of cabbage butterflies around). 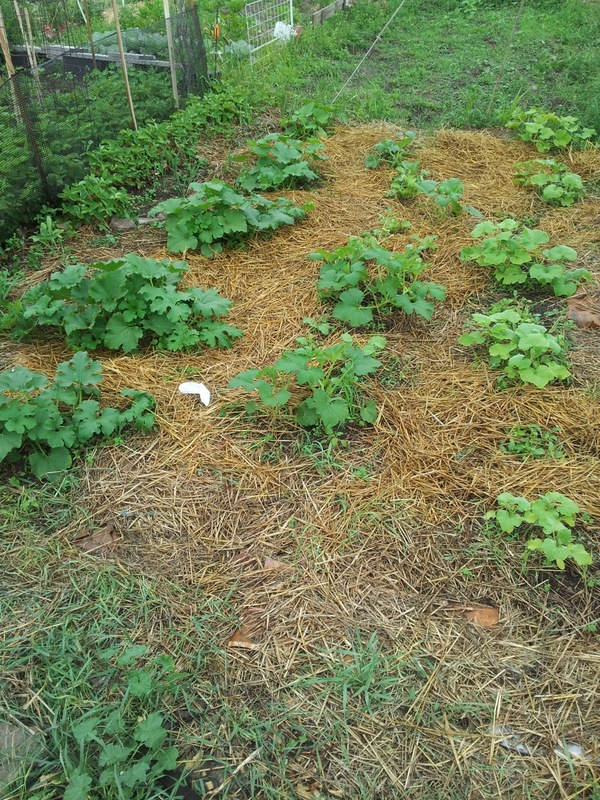 I also took some to Sabathani for my squash garden there. 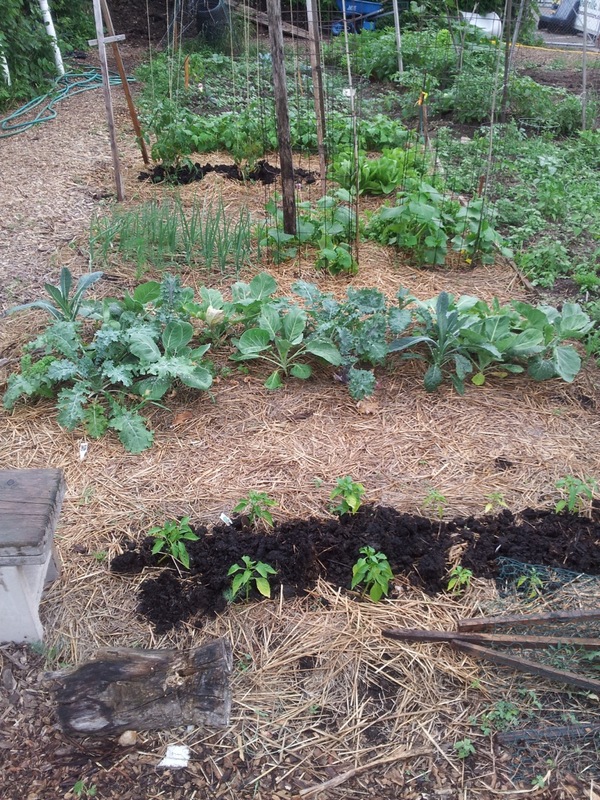 The master gardener plot that I manage there has also yielded a couple of harvests of greens and cilantro for the Sabathani food shelf already. The peppers and tomatoes have so far been looking rather uninspiring, so I gave them a top dressing of aged horse manure yesterday. Don’t ever let anyone tell you that if you live in the city you will never have the very important psychological experience of shoveling manure, because it’s simply not true. 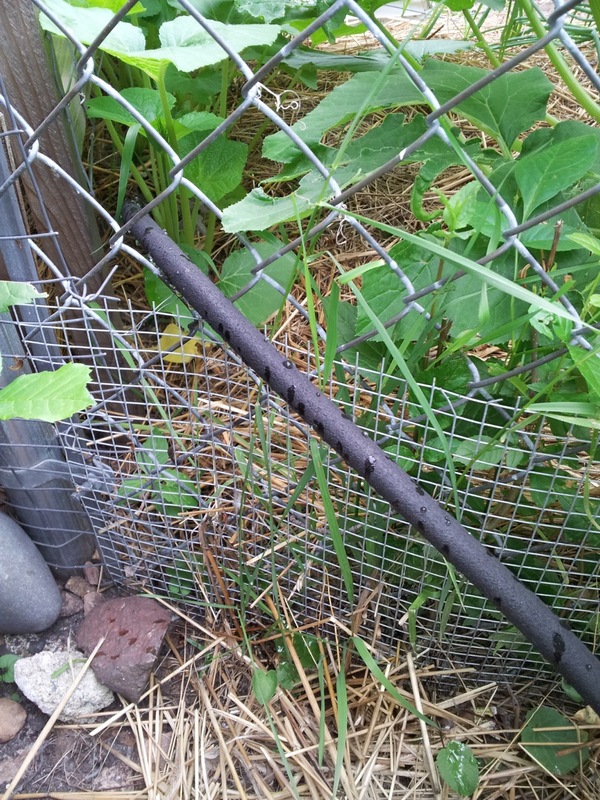 Finally, now that the weather is heating up and drying out, I am once again giving thanks for soaker hoses. 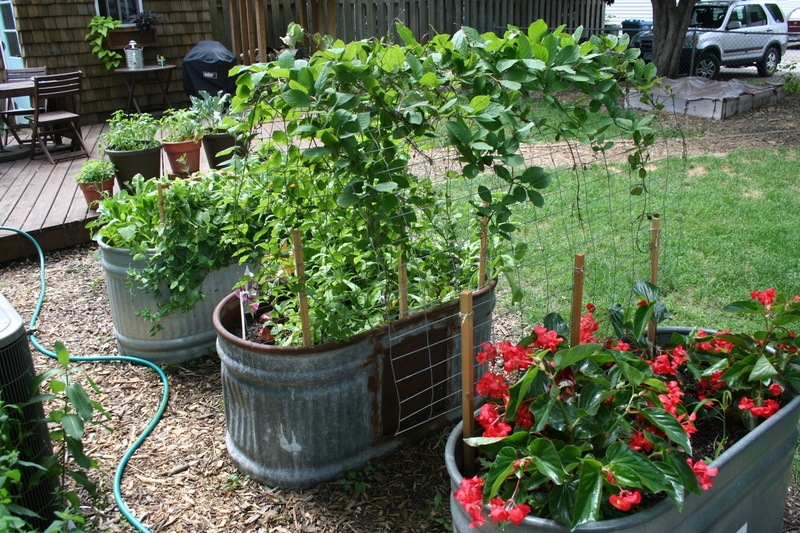 If you are going to have a garden, there is no reason not to invest in them. Standing around with a hose is for amateurs. Word. We’re eating our first green bean harvest tonight. Hurray for high season! 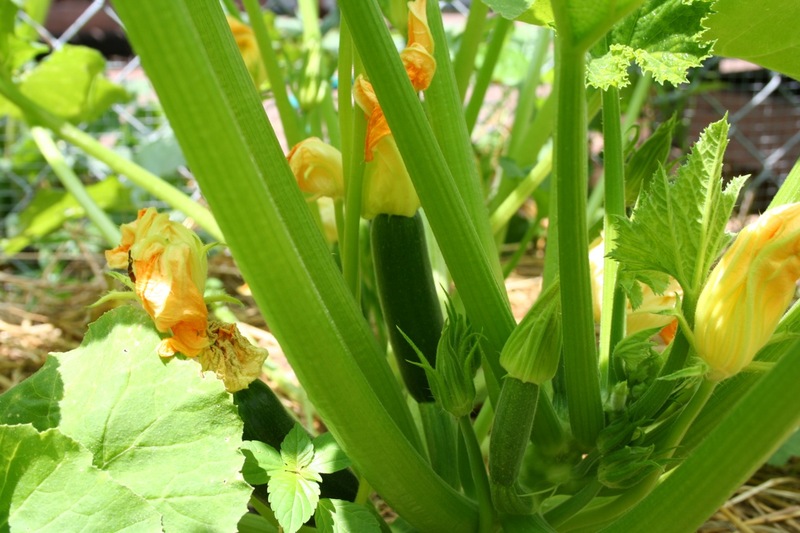 Categories: Gardening, Practical | Tags: parenting, zucchini | Permalink.